Decent, but a few too many liberties in deviation of the comics with a healthy dose of weak sauce - love conquers all, really? Very well acted however with strong casting. There's nothing truly new here, but I'm amazed that—after all the movie explosions and fights I've yawned through—this movie put together an action scene that impressed me. Can't like a film because it's the right thing to do. Didn't quite understand the hype. 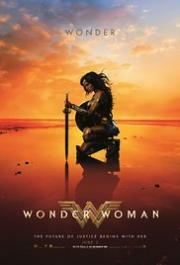 While a little uneven at times Wonder Woman is an enjoyable movie. The ending took a very cheesy approach with the whole love triumphs all. It felt like they could have brought a lot more to that ending but decided to go as Disney as possible after the death of a character. Producer: "Does it make sense for Wonder Woman to have an Israeli accent?" Other Producer: shrugs "Just make them all sound like her."